As editor of a kitchen gardening magazine one of the questions I'm often asked by readers is, what can be done if you only have a small space in which to grow vegetables? 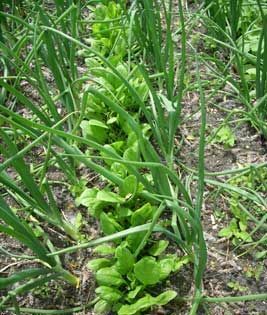 The obvious answer is to grow crops that you most enjoy eating and that perhaps give you the biggest yield. Salad leaves, radishes, beets, zucchini and pole beans all fit into this category. The quickest growers can be repeatedly sown during the season, offering plenty of harvesting opportunities from even a bijou plot.